Rabbi Yisrael Ariel wonders at fellow rabbis’ silence over plan to give away Jerusalem holy sites. The government is planning to cede several sites in ancient Jerusalem to Muslim and Christian ownership, and Israel’s rabbis remain silent, Rabbi Yisrael Ariel has accused. “There is a terrible plan, called the ‘holy basin,’ to split Jerusalem between Christians, Muslims and Jews,” Rabbi Ariel said, speaking to Arutz Sheva. Even if Jewish worship at the Kotel were to continue freely, the loss of access to the Temple Mount would be highly significant. The Temple Mount is the holiest site on earth according to Judaism, and is the place where the First Temple and Second Temple once stood. He criticized Israel’s rabbis, including the Chief Rabbis, for their silence. “Not long ago they gave the Russian Compound to Russia, now the Christians are restoring a church – unused until now – on the Mount of Olives, and thus they slowly sell Jerusalem, and nobody raises their voice in protest,” he charged. “Where is the Chief Rabbinate? 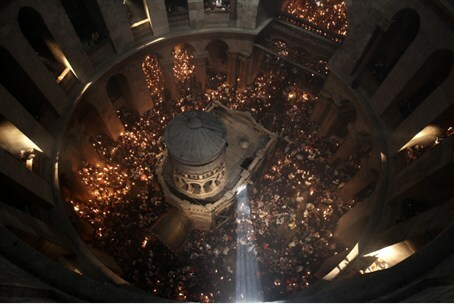 They’re going to take the heart of Jerusalem and make it a Christian center,” he continued. “Remember Rabbi Nissim. When the Pope came to visit fifty years ago, he insisted that if the Pope wanted to meet him he could come to his office in Jerusalem, he would not go greet him,” Rabbi Ariel recalled. He accused his fellow rabbis of focusing on “price tag” vandalism of Arab property rather than the future of Jerusalem. “Three hundred rabbis spoke out against ‘price tag.’ Is this what you’ve found to get involved with, is this what pains you? “Instead of meeting with the Prime Minister to protest the sale of Jerusalem, you’re speaking out against a handful of youths who burned a rug,” he accused.